Although kennel cough is easily treatable in healthy dogs, it’s important to report a coughing symptom to your veterinarian because it could be a sign of a more serious disease. The canine distemper virus and canine influenza virus both start off with symptoms nearly identical to kennel cough,” he said. Other conditions that can cause coughing include a collapsing trachea, bronchitis, asthma, and even heart disease. Nebulizers and vaporizers utilizing inhaled antibiotics or bronchodilators have been reported to be beneficial but are usually not prescribed. 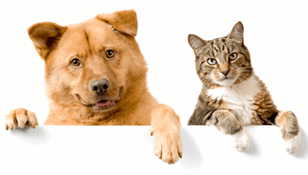 Speak to your veterinarian for treatment recommendations. Also, it’s important that owners use a harness rather than a collar to walk a dog with kennel cough because irritation of the tracheal can aggravate the cough and possibly even cause damage to the trachea. If you have a household with multiple pets, it may be useful to separate them as much as possible or at least to separate their water and food bowls to prevent the sick dog from infecting the other animals. Humans cannot catch kennel cough.